SMOK H-PRIV PRO Kit consists of H-Priv 220 mod and TFV8 Big Baby tank, it delivers a satisfying amount of vapor at 220W maximum output and comes with adjustable airflow system of TFV8 Big Baby tank, for different vaping experiences. SMOK H-PRIV PRO Kit consists of H-Priv 220 mod and TFV8 Big Baby tank, it delivers a satisfying amount of vapor at 220W maximum output and comes with adjustable airflow system of TFV8 Big Baby tank, for different vaping experiences. Big fire key is an innovative design which brings you astonishing experience. H-Priv battery cover uses injection molding, and designed with 8 venting holes and magnet holding, slot design of battery cover also make the kit is more convenient and safer. The delrin drip tip will bring increased airflow and provide you with powerful draw effects. Top refill system and leak proof e-liquid slot can significantly avoid leaking problem. 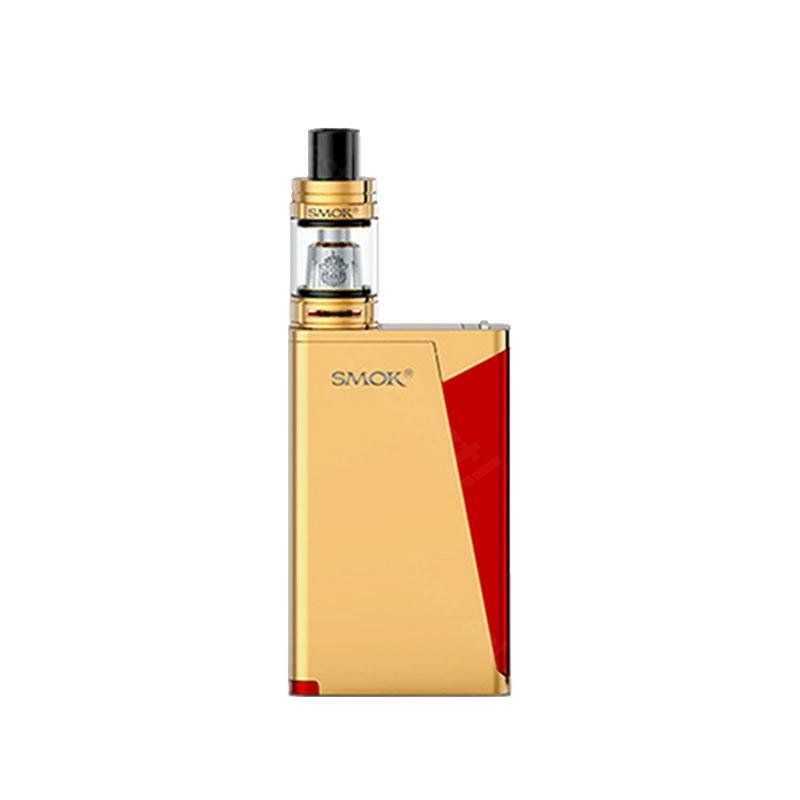 H-Priv Pro Kit features portability and compact size, simple and hard lines make the kit looks very fashionable, and it has a fundamentally improvement in finish, the new paint finish adds a shiny look and soft feel. More eye catching colors for your choice. • You can buy Baby-T8 Octuple Core, Baby-T6 Sextuple Core, Baby-X4 Quadruple Core, Baby-Q2 Dual Core. SMOK H-PRIV PRO Kit With TFV8 Big Baby Tank is an absolute topper for e-smoking!! Very good and for this price, I'm totally satisfied, many thanks. Ich habe SMOK H-PRIV PRO als Ersatz für die Zigarette gekauft. Für ab und zu zum Dampfen etwas sehr schönes. Gut verpackt für unterwegs und die mitgelieferten Geschmacksrichtungen schmecken sehr gut.